It’s next weekend and if you haven’t booked your tickets yet, there is still time. It’s true that the Fertility Show can feel a bit like some kind of Ideal Home Exhibition for fertility problems, but it’s well worth visiting for the amazing seminar programme alone where you can catch many of the country’s leading experts and benefit from their wisdom and advice. Going abroad for treatment? Question time featuring 2 overseas clinics with Dr Bruce Shapiro of The Fertility Center of Las Vegas and Dr Natalia Szlarb from IVF Spain. Counselling through infertility with Tracey Sainsbury, member of the British Infertility Counselling Association. Immunology – potentially hazardous treatment or your best chance of success? with Mr Mohammed Mahmoud, Consultant in Reproductive Medicine of The Newlife Fertility Clinic and Siobhan Quenby, Professor of Obstetrics and Director of the Biomedical Research Unit in Reproductive Health at the University of Warwick. Testing your fertility and the value of your ovarian reserve with James Nicopoullos, Consultant Gynaecologist at the Lister Fertility Clinic. Freeing your mind to improve fertility with Russell Davis, Cognitive Hypnotherapist. Dealing with Polycystic Ovary Syndrome (PCOS) with Adam Balen, Professor of Reproductive Medicine and Surgery at Leeds NHS Centre for Reproductive Medicine and Chairman of the British Fertility Society. Issues for families created with donors with DC Network founding member Olivia Montuschi. What men need to know about their fertility – testing it, boosting it, treating it with Allan Pacey, Professor of Andrology at the University of Sheffield and former Chairman of the British Fertility Society. Complementary Therapies – can they boost your fertility? 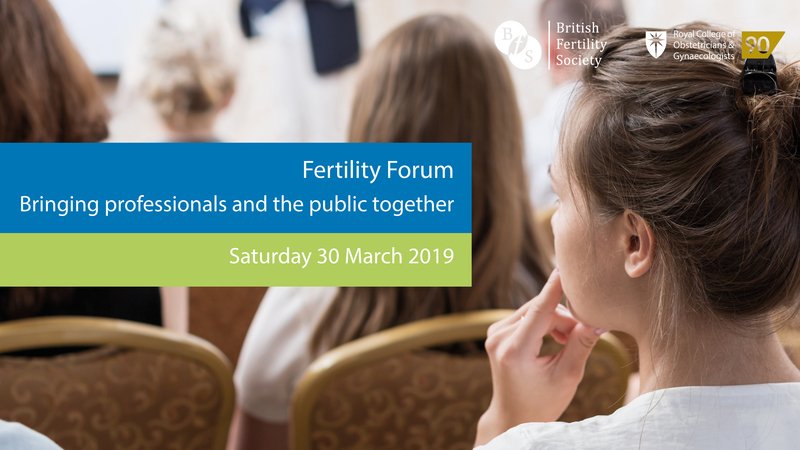 with Dr Gillian Lockwood, Medical Director of Midland Fertility Services and ethics spokesperson for the British Fertility Society, Andrew Loosely who practices herbal medicine and Barbara Scott, chair of the Association of Reproductive Reflexologists. Fertility treatment for older women with Tarek El-Toukhy, Consultant in Reproductive Medicine and Surgery at Guy’s and St. Thomas’ Hospital. How to keep costs down – do you really need those add-ons? with Dr, John Parsons, part of the team that established the first IVF pregnancy to deliver at the Hammersmith hospital. Sperm and egg donors from the UK with Laura Witjens, egg donor and former CEO of the National Gamete Donation Trust, and Venessa Smith, Donor Services Co-ordinator from the London Women’s Clinic. Can acupuncture improve fertility? with Michael Dooley, Medical Director of Poundbury Fertility and Emma Cannon, acupuncturist. The arguments for travelling to the USA vs Portugal vs Norway with Dr Angeline Beltsos of Vios Fertility Institute, Dr Vladimiro of Ferticentro and Dr Jon Hausken from Norwegian Klinikk Hausken. Steps to choosing the right adoption agency with First4Adoption’s Gemma Gordon-Johnson. Travelling to the USA for egg donor treatment – the patient’s perspective and the clinic that treated them with Sarah Esdaile and her partner who had treatment in the USA and Dr Michael Levy, Director of the Donor egg programme at Shady Grove Clinic. A patient’s experience of the fertility rollercoaster and what to expect with Jessica Hepburn, trustee at Infertility Network UK and author of The Pursuit of Motherhood. Why should I give it another go? with Tim Child, Associate Professor and Subspecialist in Reproductive Medicine, University of Oxford and Honorary Consultant Gynaecologist, John Radcliffe Hospital. Planning Treatment abroad? The arguments for travelling to Greece vs Spain vs Russia with Dr. Dimitrios Dovas of The NewLife IVF Centre in Greece, Dr Ramon Aurell, IVF Unit Medical Director of Hospital Quirón Barcelona and Dr Yulia Gurtovaya, a consultant at West Middlesex University Hospital who speaks on behalf of Russian IVF clinic CRM MAMA. Single women and lesbian couples – options for conceiving with Dr Raúl Olivares, Medical Director of Barcelona IVF. An overview of the common causes of infertility and the main approaches to treatment with Kamal Ojha, Medical Director of Concept Fertility and Honorary Senior Lecturer at St George’s Hospital. Fertility treatment for older women with Dimitrios Nikolaou, Consultant Gynaecologist, lead clinician at Chelsea and Westminster NHS Hospital’s Assisted Conception Unit and Medical Director of Fertility for Life. Unknown donor vs known donor vs co-parenting with fertility lawyer Natalie Gamble and Erika Tranfield of Pride Angel. What to think about before going abroad for treatment with Ben Saer, who with his wife Becky had successful fertility treatment in the Czech Republic, Dimitris Kavakas of Embryolab based in Thessaloniki and Dr Carlos Doscouto of Spanish IVF clinic Women’s Health Dexeus. Dealing with and treating, endometriosis with Haitham Hamoda, Consultant Gynaecologist in reproductive medicine and surgery at King’s College Hospital. Top Ten ways to cope with infertility with Anya Sizer, rregional organiser at Fertility Network UK. Surrogacy arrangements with Helen Prosser from non-profit UK surrogacy agency Brilliant Beginnings and Natalie Gamble, campaigner and founder of leading fertility law firm Natalie Gamble Associates. Single woman in your 30s or 40s? Thinking about having a baby on your own? with Caroline Spencer, trustee for the Donor Conception Network. New technologies in IVF with Lucy Richardson, Senior Embryologist at the UK’s Herts & Essex Fertility Centre and Dr Elizabeth Barbieri from US-based Oregon Reproductive Medicine. .Men Matter Too with fertility Counsellor Anthony Ryb. Fertility treatment on the NHS? with Anil Gudi and Amit Shah, Consultant Gynaecologists who run the NHS fertility service at the Homerton Fertility Centre in East London. Nutrition to help with PCOS, endometriosis and fibroids with Dr Marilyn Glenville. How to deal with the diagnosis of unexplained infertility with Dr Jane Stewart, Consultant in Reproductive Medicine at the Newcastle Fertility Centre. How to keep costs down – do you really need those add-ons? with Yacoub Khalaf, Medical Director of the Assisted Conception Unit at Guy’s and St Thomas’ NHS. Overseas egg donors. Who are they and how are they chosen? with Dr Israel Ortega of IVI Madrid in Spain and Nancy Block of Fertility Source Companies in the US explain. I was in Birmingham yesterday for the first ever Fertility Fest which was a truly amazing day. Jessica Hepburn and Gabby Vautier put together the festival and had worked tirelessly to create something which managed to be moving, interesting, emotional, inspiring, uplifting, thought-provoking and exciting all in one day. It was wonderful to have so many artists who have produced such different work about their experience of fertility problems gathered together under one roof – visual artists, playwrights, photographers, musicians and writers. To have them joined by leading fertility specialists added another context to the discussion and proved to be a fascinating mix. I chaired the opening session where Jessica was joined by playwright Gareth Farr, whose play The Quiet House, which is about a couple going through IVF, forms a central part of the festival. They spoke about why they’d both wanted to write about their experiences of fertility problems, and about the stigma and taboo which still surrounds infertility and treatment. They set the tone for the day, explaining how the idea for Fertility Fest came about and what they hoped the day would achieve. I went on to the session about IVF with writer Jo Ind and visual artist Tabitha Moses, where we were joined by Anya Sizer from the London Women’s Clinic. Jo read some passages and a poem she’d written at the time of her fertility problems and treatment, and then Tabitha presented some of her work about fertility – her beautiful embroidered hospital gowns featuring women’s fertility stories and the light-box embryos, pinpricked out using the syringes she used for her IVF. We had a fascinating discussion afterwards about their work, about infertility and treatment, about IVF pregnancy and parenthood and about the compulsion to explore fertility problems through art and writing. In the afternoon, I was in the session on male fertility with photographer Aaron Deemer, musician and composer Fergus Davidson and fertility expert Professor Allan Pacey. Aaron began by talking about his extraordinary photos of the men’s rooms at fertility clinics, and about his visits to clinics in China and the UK – and explained how the photos have become a way into talking about men and fertility. Fergus gave an incredibly moving talk about his fertility problems and experience of miscarriage, and then played some music he had composed accompanied by pictures. I think most of the audience in the room were in tears by the time he had finished his courageous and honest account, and it made me realise how rare it is to hear a man speaking so openly about the pain of fertility problems and of miscarriage. Aaron and Fergus were joined by Professor Allan Pacey for the discussion afterwards who added a professional view to the debate which gave a forum for a subject so often overlooked. It was great that Dr Robin Hadley, an academic who has researched men’s responses to childlessness, joined us in the audience for the debate. The final session of the day on the Future of Fertility was started by Amanda Gore from Liminal Space who talked about their most recent project involving the creation of a fictional beauty brand and pop-up shop designed to unlock the facts around egg freezing. Chair Peter Guttridge skilfully led the panel of experts – Professor Geeta Nargund, Professor Jacky Boivin, Dr Gillian Lockwood and Professor Allan Pacey – as they discussed what they felt lay ahead. Egg freezing, synthetic sperm and eggs, a dwindling population and the future of NHS-funded fertility treatment were up for discussion! The day ended with a production of Gareth Farr’s play The Quiet House. I couldn’t stay for that but am really looking forward to seeing the play in London. There were so many amazing artists and experts, and I just wish I could have attended all the sessions. If you are anywhere near London and haven’t got tickets for Fertility Fest on June 11 – book one right now here before they sell out. It promises to be another truly fascinating day.